OR if you can suggest me any other good otome game to play would be awesome! Ooh! I've played Mystic Messenger before, it was really fun! I also looked for similar games and found one called 'The Arcana' It was also pretty great while it lasted, but I didn't like the fact that you had to get coins to unlock the rest of the routes, and that the only way one could get coins was by spinning a wheel with 1/6 chance of success..
What was it about Mystic Messenger you liked? There are plenty of otome available in English now, although nothing quite like MysMes in terms of structure. What platforms are you open to? The PS Vita is a good platform for more traditional otome games, and there are an increasing number on the Switch, there are lots of western indie otome games for PC, and of course there are plenty of free-to-play mobile games now. If you don't read Japanese, you can get it from the Sony online store or for PC on Steam. Most really strong otome are on the Vita but there's a bunch of ports/releases slated for Nintendo Switch starting this year from Otomate. I don't know how long it has been but it has a new minigame called Heart Hunter and you can win coins from playing and stuff... it might take a while but it's helped me a lot! I’m not a huge fan of F2P otome, so I’ll suggest checking out Otome Obssessed, which is a good source of info and reviews for F2P mobile otome games. Idea Factory have a couple of their paid titles up on iOS/Android. Hakuouki was one of the first otome titles released in English, and it’s still a great example of the genre. If you haven’t played it, it’s serious, long, and plot heavy. However, the PS Vita rereleases (Kyoto Winds/Edo Blossoms) are superior because they feature significant extra content including several extra routes for new and existing characters. Hatoful Boyfriend is an excellent otome game with a really interesting, quirky story, providing you can get over the initial novelty value of dating pigeons. It’s available on mobile, as well as several other platforms. 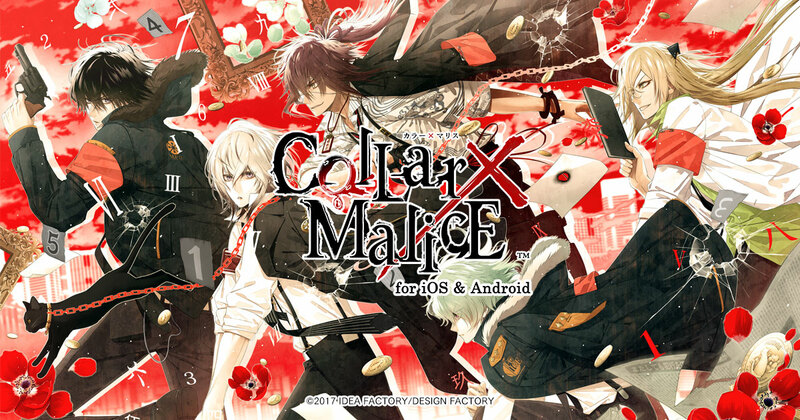 I second the recommendation above for Collar x Malice, although as noted, it’s PS Vita only unless you want to play in Japanese. Code: Realize is also a good VN on the Vita. If you’re willing to play on PC, Hustle Cat is a great visual novel that’s really cute and well written. It’s from a western dev, and it’s a bit shorter and more accessible than many of the classic Japanese VNs. I also recommend The Arcana which Velvero already mentioned. It does require coins for unlocking some routes but now there are a few different ways to get them outside of the wheel: signing in every day and receive 5 coins, playing the minigame that gives coins and selling the trinkets you get from the wheel. I admit that it sometimes requires a lot of waiting to get coins but the story is amazing, the characters are really good and it has beautiful art. I recommend checking it out.